Mecalux is one of the leading companies in the storage systems market. It is specialized in the design, manufacturing, sale and service of metal racking, automated warehouses and other storage solutions. Mecalux is the leading storage company in Spain and ranks third in the world in its field, selling to more than 70 countries. 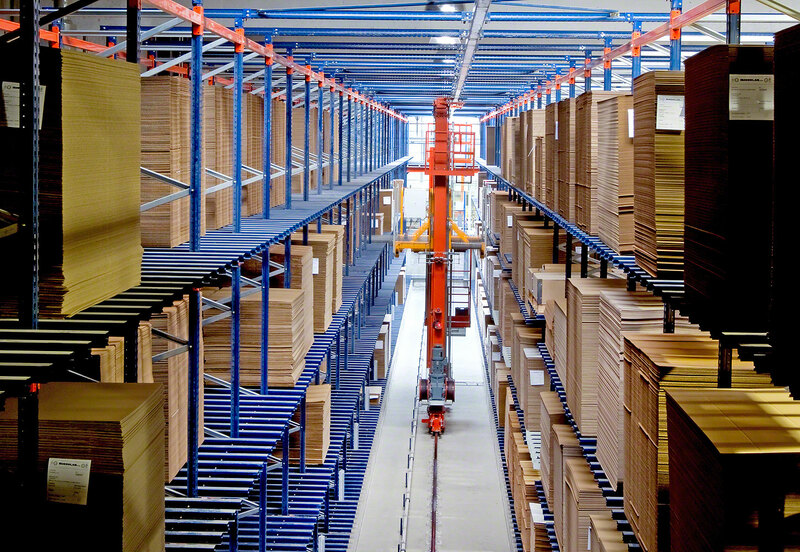 to distribute shelving and other logistics services. Manage relationships by updating customers' knowledge of products/applications, securing engineering/design support, and providing appropriate training. Demonstrate leadership with customers by conducting sales presentations, directing sales calls, managing contract negotiations, and overseeing the execution of sales contracts. Utilize market research to develop sales opportunities, which will assure market performance and penetration in support of business initiatives. Partner with customers to develop long term relationships, generate additional sales, and guide problem resolution discussions. Develop monthly and weekly sales plans that include prospecting activities and forecasts. Ensure completion of customer projects through the coordination of engineering, manufacturing, installation, and customer service activities. Hard-working, pro-active, results-driven and motivated to sell. Demonstrated effective communication, presentation, and listening skills. A desire to learn and advance in a fast-paced sales environment, and be capable of regularly using good judgment and discretion to accomplish goals and work requirements. Bachelor’s degree in engineering, business, marketing, or equivalent education. Experience preferred. Prior non-management sales and/or customer service experience is preferred, with experience selling or supporting the sales of a technical product appreciated. Knowledge of professional sales techniques, negotiation techniques, account development strategies. Permanent, responsible job in Sales Department of an international company. A company car (also for private use). If you meet these criteria then please send your full application via email to hhrrgmbh@mecalux.com. Mecalux ist eines der weltweit führenden Unternehmen im Bereich der Lagersysteme. Unser Leistungsspektrum umfasst die Entwicklung, Herstellung und den Vertrieb von Metallregalen, automatischen Lagersystemen sowie andere Lagerlösungen und die damit verbundenen Dienstleistungen. Mecalux ist in Spanien Marktführer und, mit Niederlassungen und Vertretungen in über 70 Ländern, das drittwichtigste Unternehmen weltweit in seinem Sektor. Die Führungsposition des Unternehmens gründet sich auf den Einsatz der fortschrittlichsten Technologien und das umfangreiche Vertriebsnetz in Spanien, Frankreich, Portugal, Italien, Deutschland, Slowakei, Belgien, Niederlande, Großbritannien, Tschechien, Polen, Argentinien, Uruguay, Peru, Brasilien, Chile, Panama, Mexiko, Kanada, Türkei und in den USA. Die Mecalux-Gruppe hat 11 Produktionszentren in Spanien (Barcelona, Gijón und Palencia), Polen (Gliwice), den USA (Chicago, Sumter und Pontiac), Mexiko (Tijuana und Matamoros), Brasilien (São Paulo) und Argentinien (Buenos Aires), alle strategisch platziert, um auf aktuellen und potentiellen Märkten einen schnellen und flexiblen Service zu bieten. Die Eröffnung neuer Niederlassungen, der Ausbau des Vertriebs- und Distributionsnetzes, die Investitionen in Forschung und Entwicklung, die Abteilung für automatische Lagersysteme sowie das Logistikportal Logismarket sind für die Mecalux-Gruppe die primären Quellen für Wachstum und Weiterentwicklung. Sie führen schon seit über 50 Jahren zu qualitativ hochwertigen Produkten und einem gewissenhaften Kundenservice.